The All-American Rejects’ song “Move Along” is the type of song that will get stuck in your head for days on end, but that’s not necessarily a bad thing. The rhythm of the drums mixed with the passion in singer Tyson Ritter’s voice are just a few of the many things that make this a quality song. But how does the video compare? The answer to that question is simple: decently. 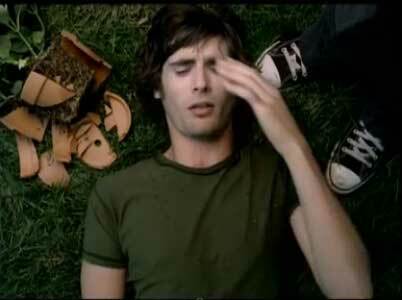 The video is very visually appealing, with unique effects like Tyson Ritter being caught by of sea of hands as he falls, or the way Ritter wears at least twenty different colors and styles of shirts in just a few seconds. But that’s just it. Though his fellow band mates show up briefly every now and then, the focus is put all on the singer. This unfortunately isn’t at all uncommon with many bands. Because vocals tend to be the most distinct thing in most songs, people often forget about the other musicians; the ones who work just as hard as the singer. At least the bright side is that Ritter has on a pair of low cut black chucks. 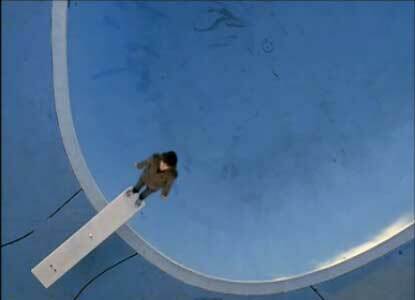 They can be best seen at the start of the video when he begins falling backwards into an empty pool, and in the middle as he performs for a crowd in the same pool he was falling into. Overall the only major flaw is the focus on only the band’s front man. Other that than, it’s a great song with a unique video, and plenty of chucks. Be like the All American Rejects, and wear chucks all the time.